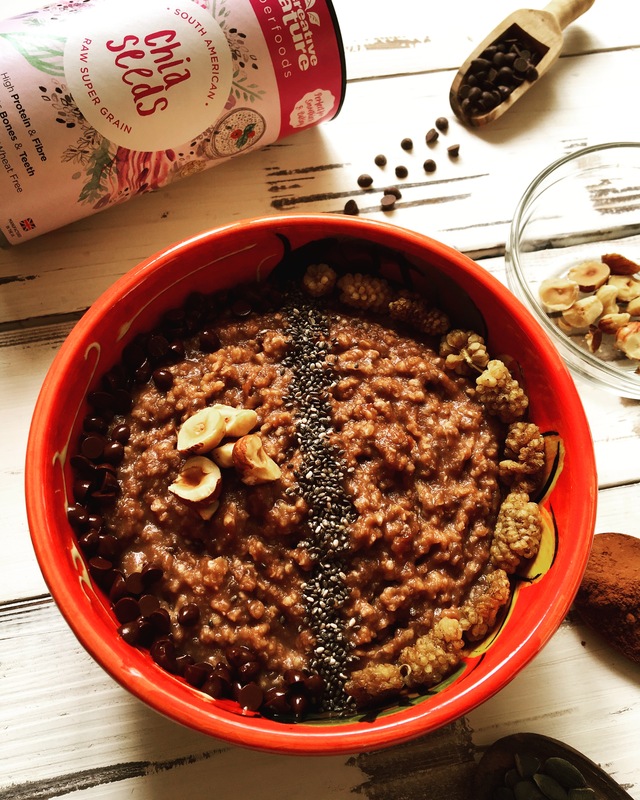 This Cacao and Chia Porridge Bowl is the perfect quick and easy breakfast for anyone who wants to induldge in a delicious and warming bowl of goodness first this in the morning! It is packed with healthy energy-releasing carbohydrates as well as healthy fats and fibre! Add toppings of your choice- anything from seeds, cacao nibs, dried fruit or even fresh fruit and berries! 1.In a pot/casserole, add and mix your ingredients together (excluding the toppings) and place on medium heat. 2. Let it cook for about 10 minutes whilst continuously stirring. 3. Place into a bowl and add your toppings before digging in and indulging!